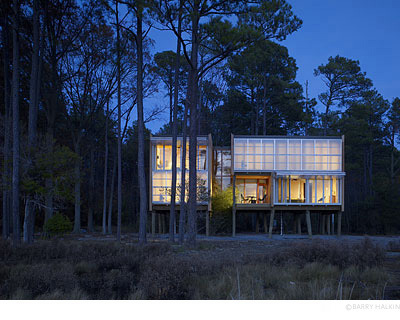 This prefabricated house (Taylors Island, Maryland) is composed entirely of ready-made components and off-site manufactured elements, assembled in less than six weeks. The install process begins with off-site manufactured ceiling and floor panels. They distribute cold and hot water, radiant heating, waste water, electricity and ventilation through the building. Fully integrated mechanical room and bathroom modules are lifted into planned position. Wall panels containing insulation, structure, windows, exterior rain screen and interior finishes complete the cladding. 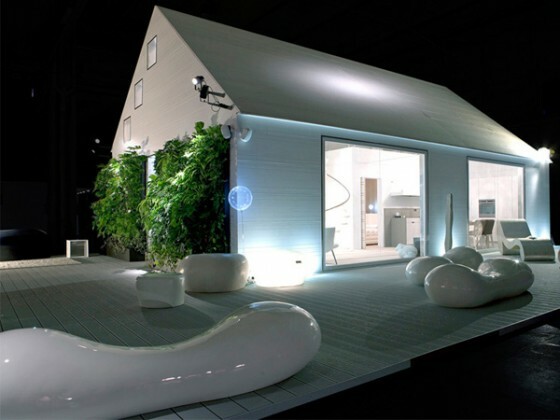 This modern white refabricated home design (Italy) born from the notion that the house should be a manifestation of function, environmental responsibility, fashion, elegance and poetry in life. This open, modern concept house features futuristic edge with a minimalist interiors, because everyday living should never be boring, but simple.